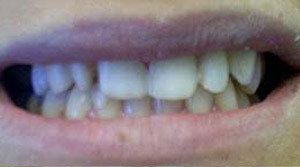 desc: Jenny, 23 year old Penn State student, was dissatisfied with SPACING between her upper teeth. 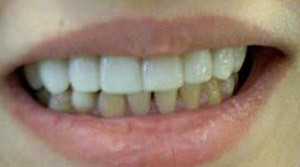 She did not want to have BRACES, but wanted an immediate fix. 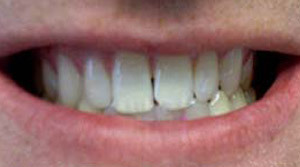 8 upper LUMINEER PORCELAIN VENEERS were done. 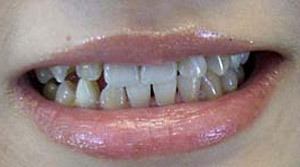 desc: Kristen, 28, from the New Jersey shore, always wanted WHITE TEETH. 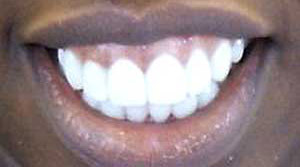 Now she has them after her ONE-HOUR ZOOM! 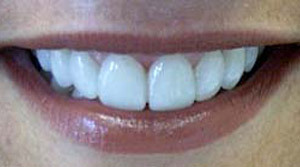 WHITENING and 8 upper LUMINEER PORCELAIN VENEERS – BEAUTIFUL, NATURAL and HEALTHY! 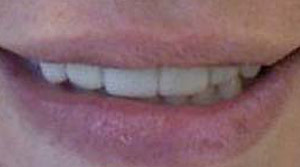 desc: Ann, 28, a public relations specialist for a professional athletic team in Philadelphia, needed help. 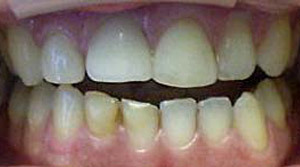 She had previous chipped, discolored bonding which prevented her from smiling. 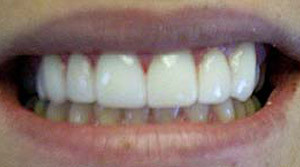 An avid softball player, she was back on the field smiling after we did her 8 upper LUMINEER PORCELAIN VENEERS. 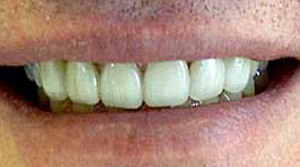 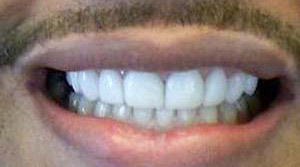 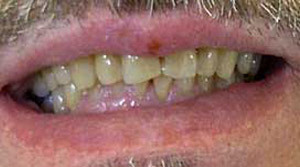 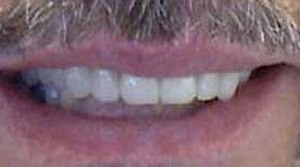 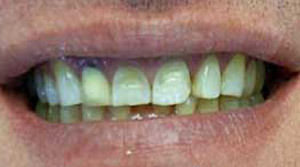 desc: Jim, 39, real estate manager, had existing yellow CROWNS and a DARK GRAY LINE at the GUMLINE and WORN TEETH. 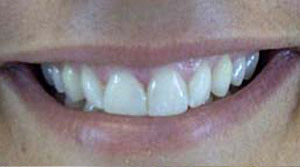 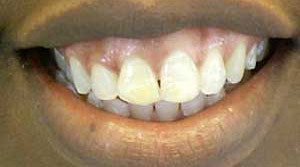 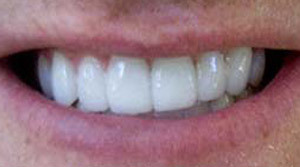 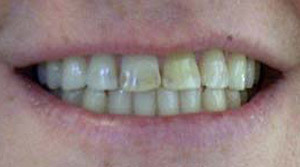 6 upper LUMINEER PORCELAIN VENEERS were placed to cover the BROKEN TEETH and CROWN. 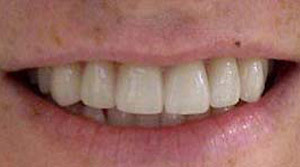 He was fitted with a NIGHTGUARD to protect his VENEERS. 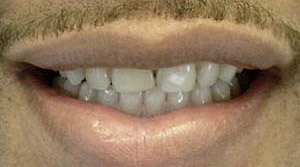 We have seen him for regular check ups for three years now; he is doing great!